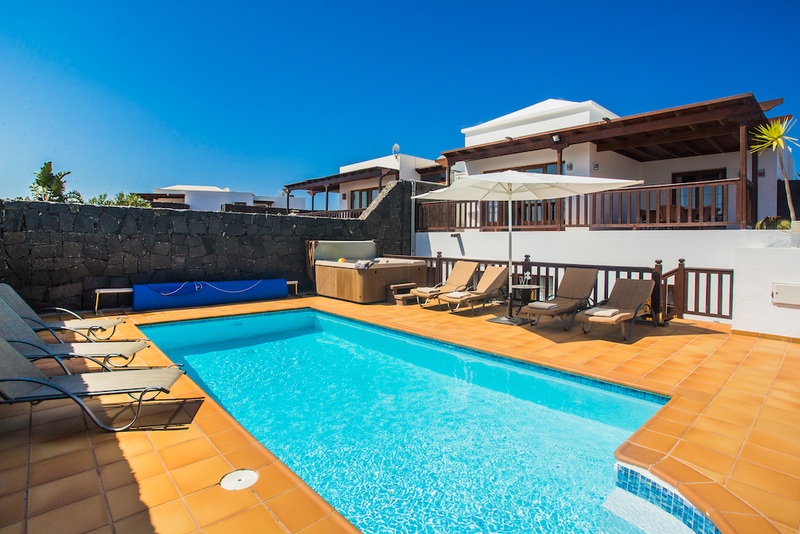 Villa Corralejo has south facing terraces set on different levels, private heated 8m x 4m swimming pool, Hot Tub/Spa, an outside Canarian BBQ, sun loungers, outside dining furniture and a new covered chill out area. Inside there is a large lounge with a pool table, internet TV and full SKY TV. The first floor (accessed by a small flight of stairs from the parking area) has two ensuite double bedrooms, a fully fitted kitchen and separate dining room. Downstairs there are two further bedrooms (one twin and one double) and a large family bathroom. There is also a huge lounge with different seating areas , internet TV (UK channels and SKY CHANNELS available), A DVD player and a pool table. Also included is a daily maid service (Mon-Fri). Welcome pack, hairdryer and pool towels are provided. Private off road parking for two cars and full alarm system. The nearest beach is Playa Flamingo and is approx 10 mins walk or 2 mins by car. The nearest supermarket is 2 mins walk. Nearest beach/bars and restaurants 10 mins walk. There is a taxi rank at the end of the road (2 min walk). 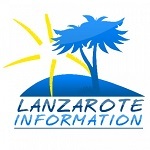 Playa Blanca approx 20 mins walk (shops, bars and restaurants). Two aqua parks within walking distance. Prices are based on 4 people sharing during low and mid season dates. Additional guests are charged at £25 per person per week. Up to 8 guests may occupy the villa during high season at no extra charge.